Susan O'Brien is back with the sequel to her popular Gluten-Free Vegan-this time featuring quick and easy versions of everyone's favorite comfort food recipes complemented by helpful tips to make your dishes fantastic. With at least 30 percent of Americans suffering from gluten sensitivity and the huge interest in vegan and vegetarian lifestyles, the demand for hearty recipes that are free from wheat, gluten, meat, and dairy products has never been greater. 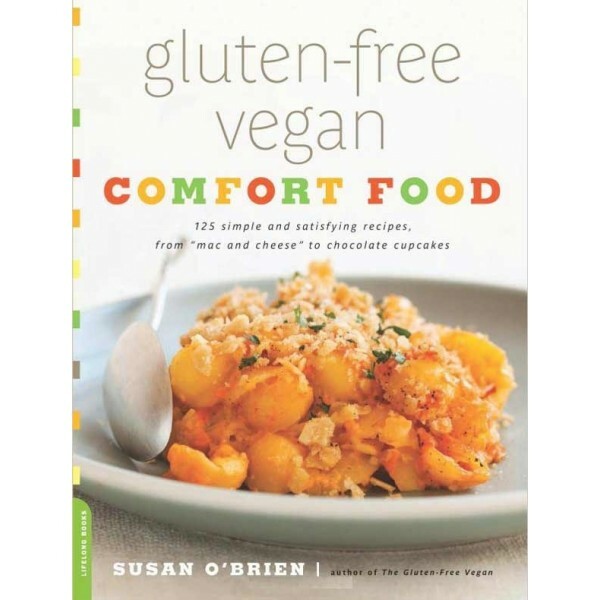 Susan O'Brien is back with the sequel to her popular Gluten-Free Vegan-this time featuring quick and easy versions of everyone's favorite comfort food recipes complemented by helpful tips to make your dishes fantastic. Recipes include Pumpkin and Pecan Waffles with Pumpkin Maple Butter, "Mac and Cheese," Stuffed Bell Peppers, Baked Bean Casserole, Molasses Cookies, Key Lime Pie, and Berry Rice Pudding.